If you are dreaming of buying your own residence, opt for a home loan from Bank of Baroda. Our home loans are packed with several exclusive features and benefits for aspiring home owners. 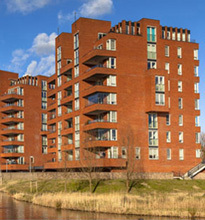 Our housing loan can be used for a variety of purposes. For instance, you can buy a plot, purchase a flat, build your own home and even extend your existing residence with a home loan. Both resident and non-resident Indians are eligible for our home loans. Low interest rates and processing charges: We offer among the best home loan interest rates, making it easier for you to own the home of your dreams. In addition, the processing charges on our home loans are minimal, and there no pre-closure charges. Higher loan amount: You can improve your eligibility when you add a close family member as co-applicant to your home loan. This will enable you to receive a higher home loan amount. Free credit card and insurance: With our home loan, you can enjoy a free credit card and concession of 0.25% for car loans. Additionally, we offer free accident insurance with every home loan. You can also opt for group credit life insurance cover when you apply for a home loan. This cover protects the family against the death of the borrower, and the family is not required to repay the home loan to the extent of the claim amount. You can pay the premium for the cover along with the EMIs of your home loan. Longer tenures: With a tenure of up to 30 years on home loans, you don’t need to worry about high equated monthly installments (or EMIs). 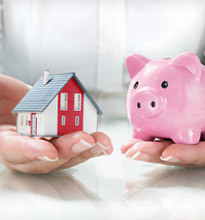 Instead, easily repay your home loan in EMI amounts best suited to your financial needs. Top up loans: One of the key benefits of our home loans is that you can apply for a top-up loan during your loan tenure, up to a maximum of five times. Who is eligible? 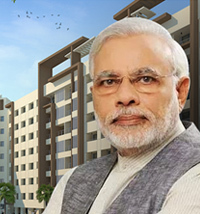 All resident and non-resident Indians between 21 and 70 years are eligible for our home loans. Purchase of new / old dwelling unit. Repaying a loan already taken from other Housing Finance Company / Bank. Loan amount: The approved home loan amount varies according to location and income of the applicants. For instance, in semi-urban and rural areas the maximum amount is Rs. 1 crore, while in metros the maximum home loan amount can range from Rs. 5 crore to Rs. 10 crore. Interest rate: Bank of Baroda offers attractive interest rate on home loans. The interest rate is linked to the one-year marginal cost of funds-based lending rate (MCLR) of the bank and is reset annually. Tenure and moratorium: The tenure on our home loans varies based on the loan amount and the income of the borrower, and the maximum tenure is 30 years. There is also a moratorium period on home loans, which can be a maximum of up to 36 months after the loan amount is disbursed. Collateral: We require collateral against home loans. 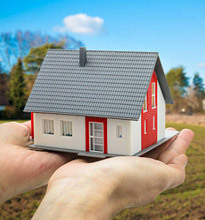 Generally, we accept mortgage of the constructed or purchased property as collateral. 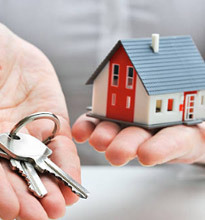 In some cases, collateral for home loans can be accepted in the form of insurance policies, government promissory notes, shares and debentures, gold ornaments etc. Non-Resident Indians (NRIs) holding Indian passport or Persons of Indian origin (PIOs) holding foreign passport or Overseas Citizens of India (OCI). Applicant/ co-applicant/s (whose income are considered for eligibility) should be employed / engaged in business / profession for a minimum period of -1- year (for salaried) and/or -2- years (for non-salaried). a) Applicant/ co-applicant/s (whose income are considered for eligibility) should be having a regular job abroad in a reputed Indian / foreign company, organization or government department holding a valid job contract / work permit for the minimum past -2- years. Should be employed / self-employed or having a business unit and staying abroad at least for -2- years. b) Applicant / co-applicant/s (whose income is considered for eligibility) should have minimum gross annual income equivalent to Rs.5.00 Lacs per annum. If the applicant / co applicant/s, whose income is considering for eligibility includes NRI, minimum Gross Annual Income of Rs.5 Lacs (income of applicant / co-applicant together) can be considered for this criteria. The person is a spouse of an Indian citizen or a person referred to in sub-clause (a) or (b) above. A person registered as Overseas Citizen of India (OCI) under section 7 A of the Citizenship Act, 1955. A foreign national, who was eligible to become citizen of India on 26.01.1950 or was a citizen of India on or at any time after 26.01.1950 or belonged to a territory that became part of India after 15.08.1947 and his / her children and grandchildren, provided his/ her country of citizenship allows dual citizenship in some form or other under the local laws, is eligible for registration as Overseas Citizen of India (OCI). Minor children of such person are also eligible for OCI. However, if the applicant had ever been a citizen of Pakistan or Bangladesh, he / she will not be eligible for OCI. The close relatives of the applicant can be added as a co-applicant for higher eligibility. If the applicant wants to add any person who is not a close relative as a co-applicant, same can be considered only if he/ she are the joint owner of property. Spouse, Father, Mother (including Step Mother), Son (including Step Son), Son’s wife,Daughter (Including Step Daughter), Daughter’s husband, Brother/sister (Including stepbrother/sister), Brother’s wife, sister (including step sister) of spouse, Sister’s husband,Brother (including step brother) of spouse. Subject to income criteria & repayment capacity of the applicant / co-applicant (s) and LTV/Margin norms. Maximum period of loans shall be -30- years initially, including the maximum moratorium period of -36-months. 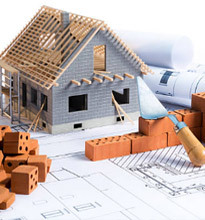 18- month moratorium period for under construction Houses and Building up to 7th Floor and thereafter -6- months additional moratorium per floor subject to a maximum moratorium of -36- months. If mortgage is not feasible, Bank at its discretion can accept security in the form of Insurance Policies, Govt Promissory Notes, Shares and Debentures, Gold Ornaments etc. In case of farmers / agriculturists, repayment can be allowed in Half Yearly installments coinciding with harvesting/marketing of major crops produced. Recovery of interest for the moratorium period Interest charged during the moratorium period is to be recovered as and when debited. Floating Rate : Interest on the loan will be charged at prevailing floating rate on a daily reducing balance at monthly rests. The rate of interest is linked to One Year MCLR of the Bank, shall be reset on annual basis. Rate of interest will be decided with reference to CIBIL bureau score* of the applicant/co-applicants (ranging from minimum of I Year MCLR to maximum of 1 Year MCLR +1%) subject to revision by the Bank from time to time. Bank of Baroda is having tie-up arrangements with M/s. 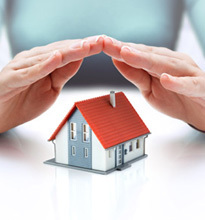 India First Life Insurance Co. for providing Life Insurance Cover to our Home Loan borrowers. This is an optional Scheme of Life Insurance and is at the cost of borrower which may be funded by the Bank at the time of sanction and is recoverable with the EMIs of the Loan. It is an optional scheme for the benefit of Home Loan borrowers and the borrower will be given an option by the branches to choose the insurance provider between IndiaFirst Life Insurance as per his choice. It is a group insurance scheme, which protects against unforeseen consequences of death of borrower. Family of the borrower is not required to repay the loan to the extent of claim settled amount, in case of death of the borrower. Outstanding cover amount due, will be paid by insurance provider as per cover schedule. Slippage of the account into NPA category due to death of the borrower can be avoided. Life cover is available against payment of one time premium and amount of premium is based on the age of the borrower, amount of loan, Interest rate and tenure of the loan. Premium amount for obtaining the cover can be financed as part of loan at the request of borrower and accordingly EMI will be calculated. But in case of Home Loans guidelines regarding compliance of LTV Ratio must be strictly ensured. Premium amount may be part of the Loan as per total eligibility of the borrower may be funded by the Bank at the time of sanction and is recoverable with the EMIs of the Loan. 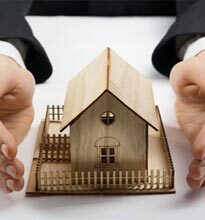 In case of foreclosure of loan, certain portion of premium paid shall be refunded by the insurance provider. All other terms and conditions would be as applicable to regular Home Loan scheme.